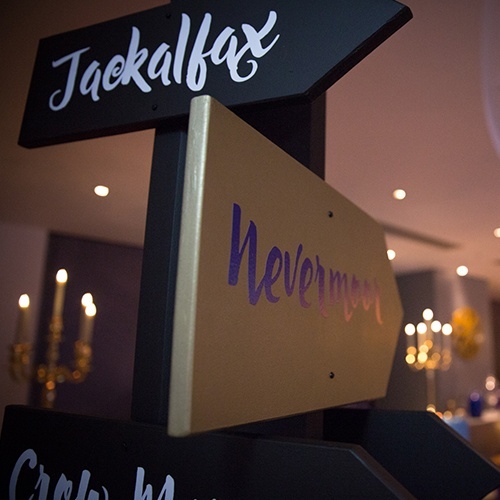 Publishing group Hachette launched its latest fantasy book series Nevermoor at The Mondrian. 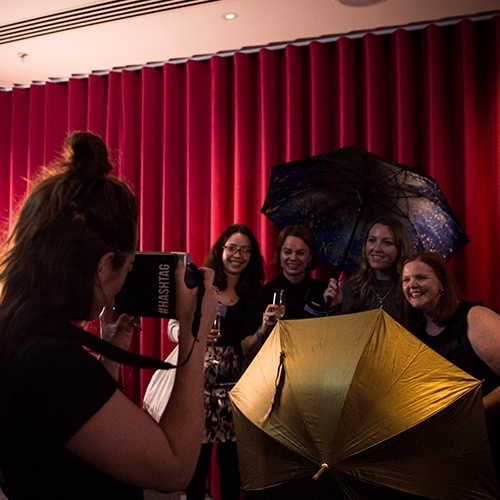 Mask brought the evening drinks reception to life, working with our production partner Full Circle to style the space with themed props from the novel. 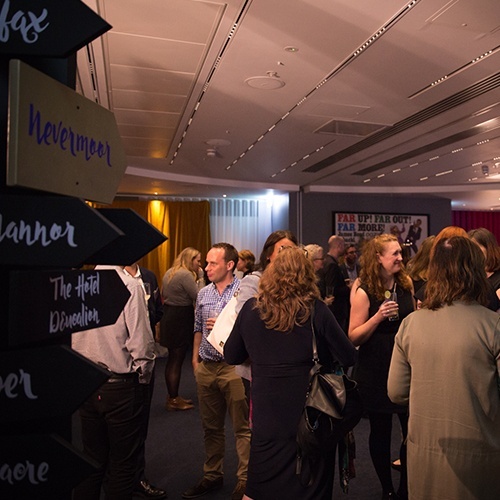 Guests were invited on a journey to explore the story, as well as the venue. Starting in the Screening Room, the entrance portrayed Jackalfax – a dark and bleak world. 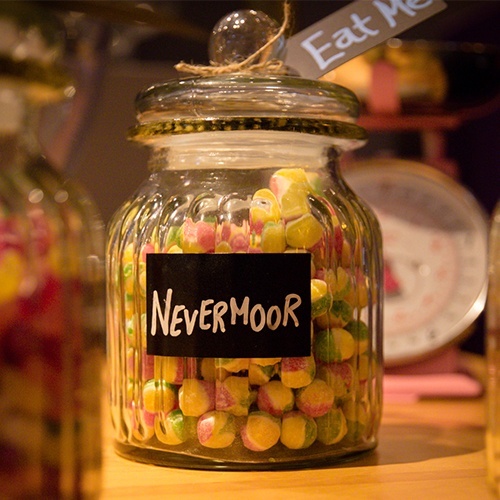 Guests were then moved to the Studios, which had been transformed into the enchanting world of Nevermoor, for their drinks reception. 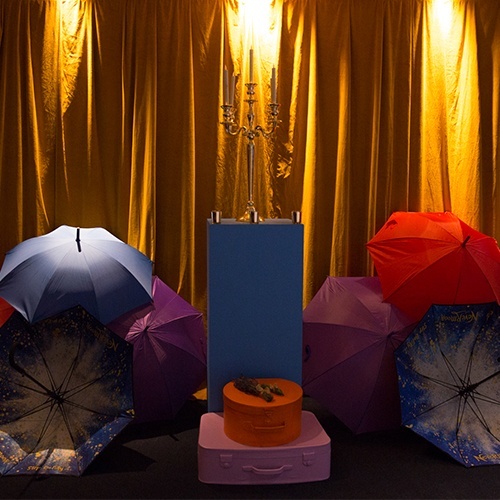 Using inspiration from the book, Mask themed the studios with bright umbrellas, coloured plinths and crates, candelabras, birdcages and sweet jars, recreating the lively and striking environment portrayed by the author. 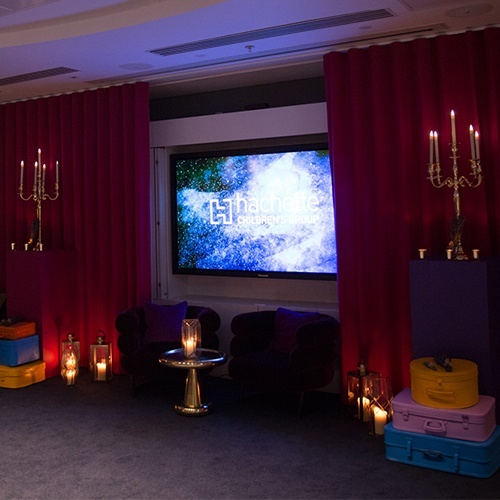 Bundles of lavender and rosemary were dotted across the studios and were the perfect finishing touches to evoke sensory moments described in the book.